We have already created this feature before to create sales order from point of sale, but in this module we have done enhancement. Lets have look. Here is default Odoo point of sale screen. After assigning customer and product selection, when we click on “Create Sales Order” button, then following screen will open to add any note and sing box for customer. After note and signed by customer, when we click on Create, then Sales Order will be created like below screen with popup. Here is the SO created from POS with signature visible. 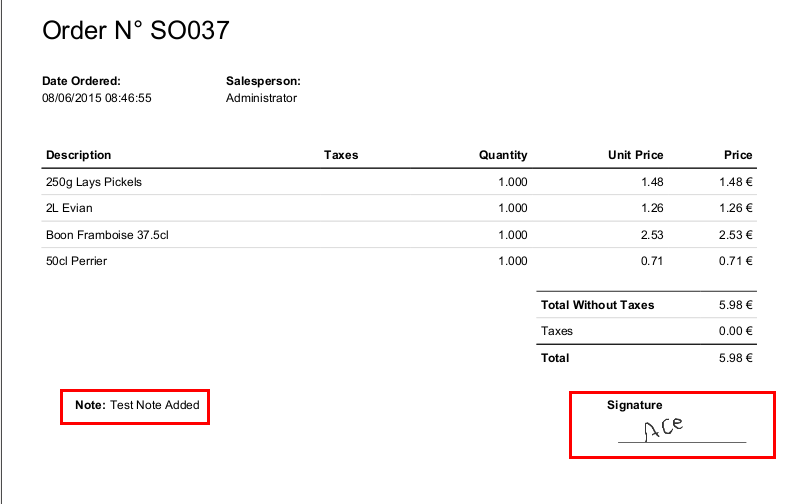 And the same signature is available in Sales Order report also.